Conservation planning is the science of choosing which actions to take where for the purpose of conserving biodiversity. Creating a system of protected areas is the most common form of systematic conservation planning. Hence, we will focus on the process of protected area selection in this chapter. Marxan is the most widely used software in the world for creating marine and terrestrial protected area systems. Because conservation planning is an important job skill for conservation and resource managers, you should understand the principles involved even if you don’t use this software in your job and even if you use software other than Marxan for systematic conservation planning. From this chapter, we would like you to. 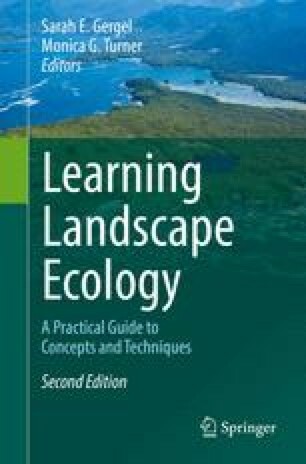 We thank Patricia Sutcliffe for reviewing the chapter for us. We also thank Ian Ball, Eddie Game, Dan Segan, and many others for their work that we have drawn on in the production of this chapter. None of this work would have been possible without financial support from our funding organizations: the Department of Sustainability, Environment, Water, Population and Communities; the Australian Research Council funded Centre of Excellence for Environmental Decisions; the National Environmental Research Program funded Environmental Decisions Hub; and the Commonwealth Scientific and Industrial Research Organisation.